Larger tub with front entry allowing convenient washing from both sides of the tub. Same great features and construction with front entry to take up less space. 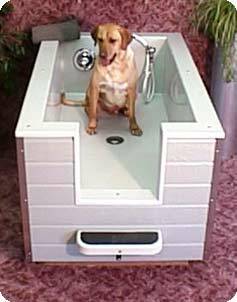 With this tub you bathe from the front of the tub only. Sticks out 36” inches from the wall.